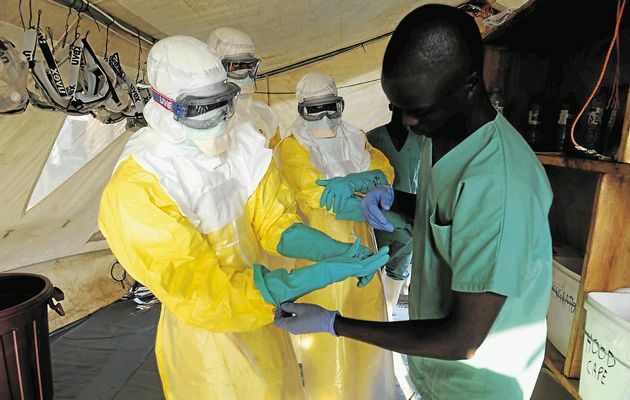 An Ugandan pediatrician who works in the Emergency international staff in Sierra Leone has contracted the Ebola virus. The man works at the Center for Ebola Patients opened by Emergency in Lakka, on the outskirts of the capital Freetown. The man began treatment in Lakka and is now in stable conditions. He was transferred today in Germany to continue treatment there. Emergency has been working in Sierra Leone since 2001 in the Surgical and Pediatric Center in Goderich, which for two months has been the only hospital open and operating in the area of Freetown. Last September 18th Emergency opened the new Center in Lakka, with 22 beds for the isolation and treatment of patients with Ebola. "To prevent the virus spread and contamination, all personnel employed in the Centre has followed a specific training on security protocols, the use of personal protective equipment and the proper way to move alongside the fixed routes within the Center", says Luca Rolla, Emergency coordinator in Sierra Leone. "However, no medical intervention during an outbreak of this kind can be considered totally risk free". In Sierra Leone there are more than 110 health care workers who have contracted Ebola. The epidemic is spreading rapidly throughout the whole country and especially near the capital: the World Health Organization speaks of more than 1,800 patients, with an increase of 30 new cases per day, but the numbers could actually be much higher. To respect the privacy of the pediatrician and his family, Emergency won't release other statements on the matter for the time being.